Check out Friends 2014 workbook for middle school students. 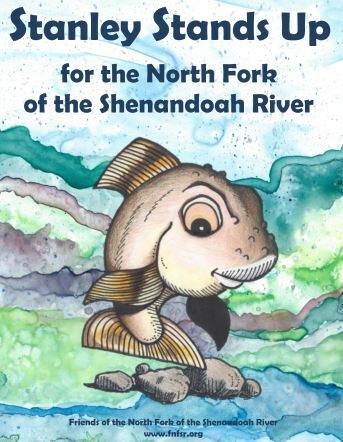 Join our mascot, Stanley the Central Stoneroller, on a journey of water-related learning activities through his home, The North Fork of the Shenandoah River. View separate pages and sections below. 2 This Is My Home! 7 Follow My River to the Atlantic Ocean! 9 Where Does River Water Come From? 11 Who Lives in the River with Stanley? 14 Design Your Own Fish! 15 What Makes Rivers Dirty? 16 How Do We Protect Rivers? 17 How Do Stanley’s FRIENDS Protect the River? 18 What Can We Measure? 21 Help Stanley Label the Food Chain in the River?